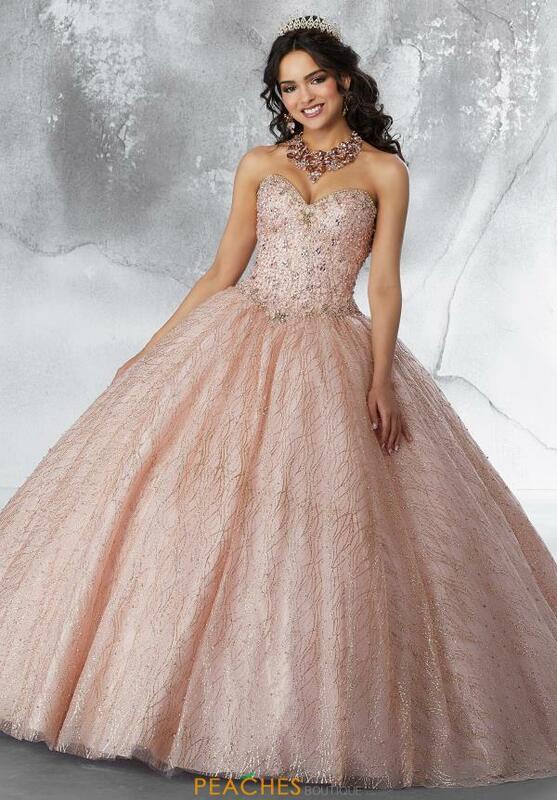 Be bold and wear this sparkly ball gown 89199 for your quinceanera. This glistening gown is made in a glitter encrusted tulle fabric. The strapless, fitted corset bodice is adorned with rhinestones, sequins and beading with a sweetheart neckline and lace up back. The full ball gown skirt is made of layers of sparking tulle. See more amazing Vizcaya styles at Peaches Boutique. Matching Bolero Jacket.